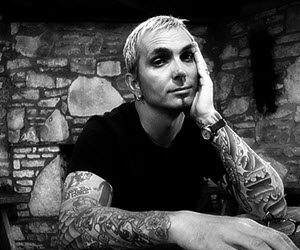 Arthur Paul Alexakis, commonly known as Art is an American Musician who is best known as the composer, guitarist and lead singer of the rock group Everclear. During his lifespan he was able to craft several different record labels, work with some of the biggest record labels in the world, become a political activist and speak for drug awareness to the masses. He also supported families of the military and campaigned for John Kerry when he ran for President. Born in Los Angeles, California he was an older brother to George & his three sisters. Their father was a Greek ancestry and due to financial difficulties the family never had much money to their name. Alexakis was then sexually abused by older kids in the neighborhood that his family was forced to move to in their poor nature. This caused for his younger brother at the age of twelve to become addicted to heroin, he overdosed in the same year. His girlfriend at the age of fifteen committed suicide whereupon which he would try to do the same, only to see a vision of his brother before him compelling him to stay alive. Shortly after he became to express himself through his music. Arthur took film classes at the “Los Angeles Community College” which allowed for him to get an occasional acting job and pay the bills. It wasn’t until he started his first band “Shakin’ Brave” that he started to escalate as a star. The band quickly rose above the water in Southern California, allowing for the band to make a solid income. That’s when his wife & himself moved to San Francisco. Over the years he would continue to play with the band until they broke up. This could have been the best thing ever to happen for Art though as it allowed for him to meet fellow bandmates in Everclear. Everclear is the best thing that could have ever happened to Arthur. When his wife and himself moved to Portland he placed an ad in the paper seeking a bass player and a drummer to form a band. The result of that ad was Craig Montoya and Scott Cuthbert. The trio would then form the band Everclear. Eventually, Cuthbert would be replaced for Greg Eklund who’d help embody the popularity of this band for the better part of a decade. They scored three platinum albums during the course of their career. Currently, the band is no longer together and Arthur works mainly on solo projects. None the less this band helped pave the way for dozens of other artists who were trying to enter the Southern California music scene. During the younger years of his life, this was a man who was an atheist. It wasn’t until August of 2000 that he revealed he was now a Christian & believed in a higher power. That is just a small portion of his personal life, though. Outside of his musical career, he was a gay rights activist, supporting millions around northern America and the world. He was one of the main bodies behind proposition eight, a proposition which would eventually start the debate for gay marriage not just around Northern America but around the world. He is currently married to his stunning wife and has a child. He still lives in Portland & lives a simplified lifestyle now.